What summer would be complete without America’s greatest pastime? Nothing says summer like attending a professional baseball game or playing some ball in the sandlot with a few friends. Not only is baseball an exciting game that will keep you constantly thinking, but it’s a great way to get in some physical activity. One of the most exciting times of the year is when it finally becomes warm enough for a pool party. Pool parties are a great way to cool off during the hot weather and enjoy the sun- just be sure to apply sunscreen! Pools can also play host to a wide variety of games and competitions such as Sharks and Minnows, Marco Polo, and the infamous Belly-Flop Contest. Regardless of where you live, there is always a nature hike within driving distance. Not only are hikes a great way for kids to stretch their legs, but it also allows them to explore the outdoors. Today, kids seldom get the chance to walk around, make new discoveries, and just learn about nature. Hikes give kids this opportunity and provide an enjoyable escape from busy city life. Looking for a fun daytime and evening activity? 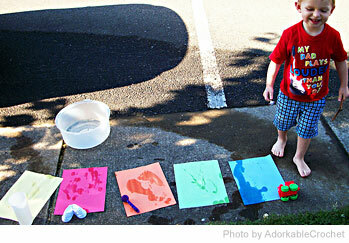 Ice blocking is a simple and exiting activity that your kids will love! If you live by a park with a hill, simply pick up an ice block at the local grocery store and hit the slopes. Remember to bring gloves and towels to stay protected from the cold ice. Summer camps are a great way to keep kids engaged and learning throughout the summer without the pressure that school can provide. Not only will a camp help get them out of the house, but it will get them excited about learning. These camps are a great chance for kids to discover their interests and explore the topics that intrigue them most. Be sure to visit your local community center or check online for fun camps in your area. These five activities are just some of the fun things you can fill your summer with. Be sure to make the most of each extra minute of sunlight that this season provides. Use this summer to be active, learn, explore fun places and make new discoveries every day!